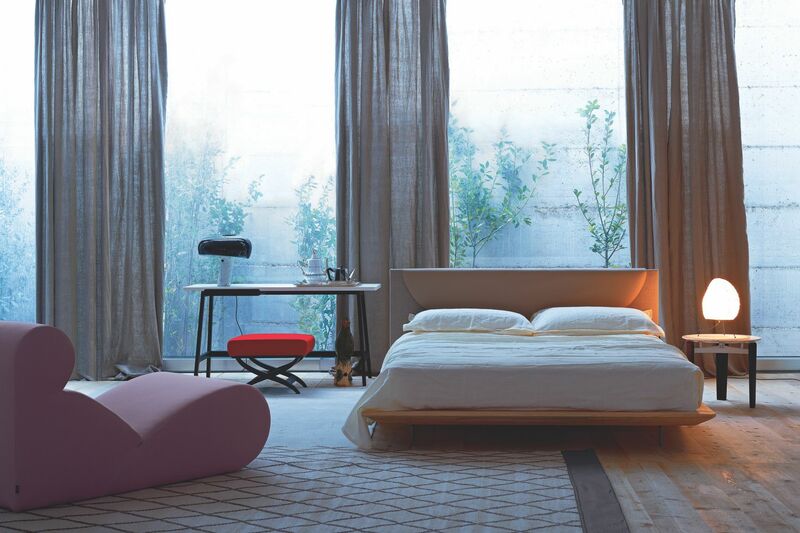 The Joy Bed is light and linear and has been designed by Claesson Koivisto Rune for Arflex Milan. It is both floating and graphic, with its signature look consisting of soft progressive curves on the backrest padding. 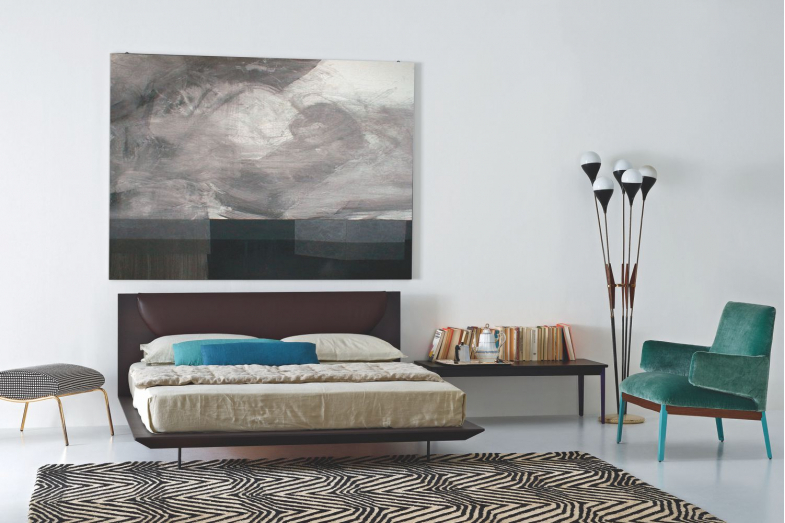 The Joy Bed is a wooden frame made of stained wengé, brown, oak, lacquered white and black. Black metal feet.